but at what he aspires to. but in advancing toward what will be. Thank you for visiting: Love one another but make not a bond of love. 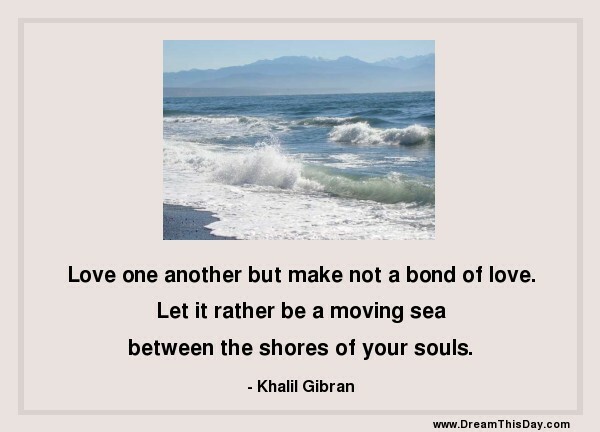 by Khalil Gibran.